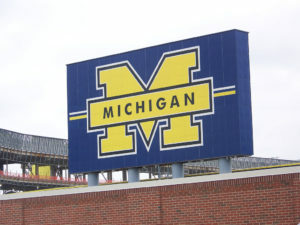 ANN ARBOR, MI – Several community members urged the University of Michigan Board of Regents and administrators to voice their support for the Jewish student population following anti-Semitic emails sent to students last week. 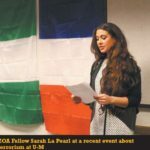 The calls for the university to support Jewish students who were targeted by anti-Semitic emails came with the belief from some who participated in public comment that a double standard has been applied by speaking out for other marginalized student groups following incidents of hate. UM President Mark Schlissel was quick to defend the university’s response to the latest incident of racist and anti-Semitic emails reiterating that he has denounced the act and that bigotry on the basis of race, ethnicity and religion are not tolerated. Schlissel also expressed his admiration for the Jewish student population at UM during the public comment session. “Anti-Semitism is not tolerated here or elsewhere and should not ever be,” Schlissel said. “I’m very proud of the fact that the University of Michigan has a thriving Jewish community, the most impressive Hillel, a thriving Chabad house, faculty, staff and at least two presidents of the institution that are Jewish, including myself. “The rights of our Jewish students are as valuable as the rights of any other majority or minority member on the campus and I’m very proud of that community,” he added. The UM Division of Public Safety & Security and the ITS security team continue to investigate the incident with the help of the FBI. Sheldon Freilich, who spoke during public comment, said he was appalled to see what he described as an ugly climate of anti-Semitism on the UM campus over the last few years, with Jewish students experiencing harassment and name calling. Members of the Board of Regents echoed the sentiments of Schlissel in voicing their support for Jewish students at UM, including Regent Andrea Fischer Newman. Michigan Hillel Chair Josh Blum said the Jewish student group has banded together with other groups like the Black Student Union and the Michigan Refugee Assistance Program to build positive relationships at a time when acts of hate have created a tumultuous climate on campus. This article was published by MLive and may be found here.